In conjunction with National laws, a driver’s level of intoxication is established through a measurement of their blood alcohol content (BAC). By analyzing a breath, blood, or urine sample, law enforcement can record BAC levels. For most drivers over 21, a BAC above .08 is grounds for an arrest and charge for DUI, while commercial drivers can only have a BAC below .04 and drivers under 21 cannot have any detectable level of intoxication while behind the wheel. The majority of DUI arrests are first time offenders, but even this relatively common charge carries penalties that can have a lasting impact. In addition, if you are employed in certain professions, such as a doctor, teacher, pilot, or law enforcement officer, you may be required to report the arrest, which may negatively impact your career. Any arrest for a DWI offense will result in an immediate suspension of your driving privileges. This is a civil matter handled completely independently from any criminal charges associated with your arrest. You can request a hearing to appeal for a temporary license while handling the rest of your charges. Certain situations can increase the potential consequences, such as a child younger than 15 being present in the car during the offense or any injuries that were caused by the incident. Commercial drivers can also be held liable for operating a commercial vehicle, such as a bus, limousine, or freight truck, with a BAC above .04. 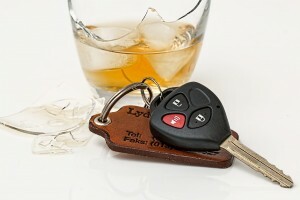 With so many penalties on the line, enlisting the aid of an experienced Sugar Land DUI attorney is extremely important . Even your first DWI in Texas can have a huge impact on your life. Don’t be afraid to contact your lawyer with any questions about the proceedings ahead. This entry was posted in DUI/DWI and tagged drunk driving, DUI, DWI by admin. Bookmark the permalink.